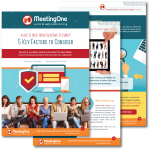 Requires AudioOne Conference Calling with MeetingOne. See the full list of features available in Click&Meet 5.0. Make it easy to take on the chaos of conference calls. With Click&Meet, you can unlock the full potential of conference calling with interactive call activities, high capacity management tools, and group discussion features that transform ordinary conference calls into engaging experiences. Encourage focused conversations, spur individual feedback, and drive collaboration with Click&Meet! Set the stage for meaningful, productive conversations. 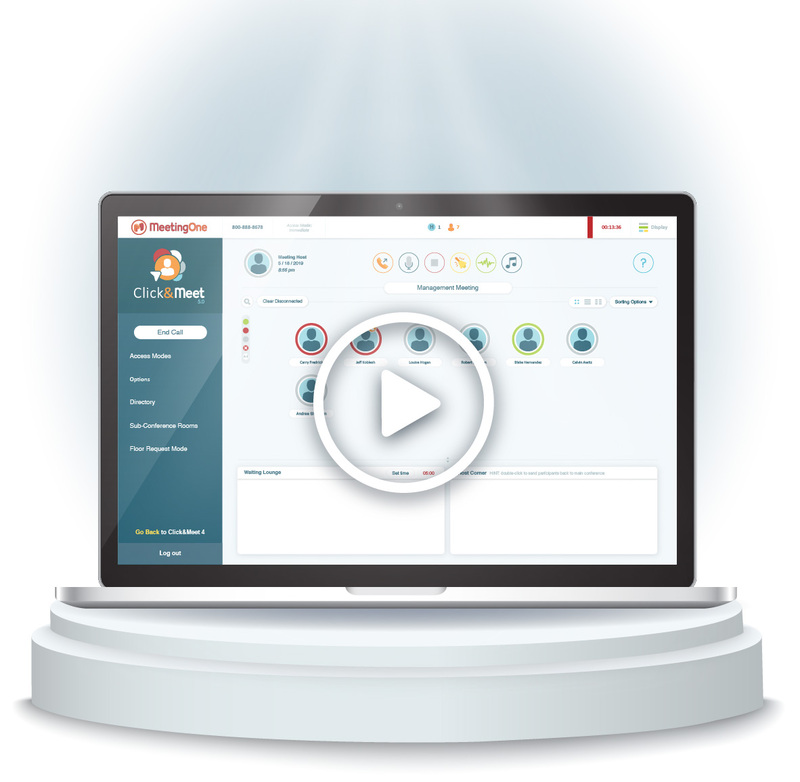 Configure call access controls within Click&Meet before the start. Silence disruptions during calls with individual & group muting. Get callers into the call quickly – Dial-Out directly to contacts. 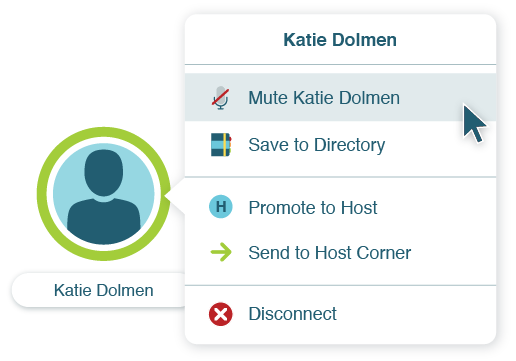 Manage callers before and during calls with Click&Meet’s Waiting Lounge and Host Corner. Control & Encourage feedback from individuals. 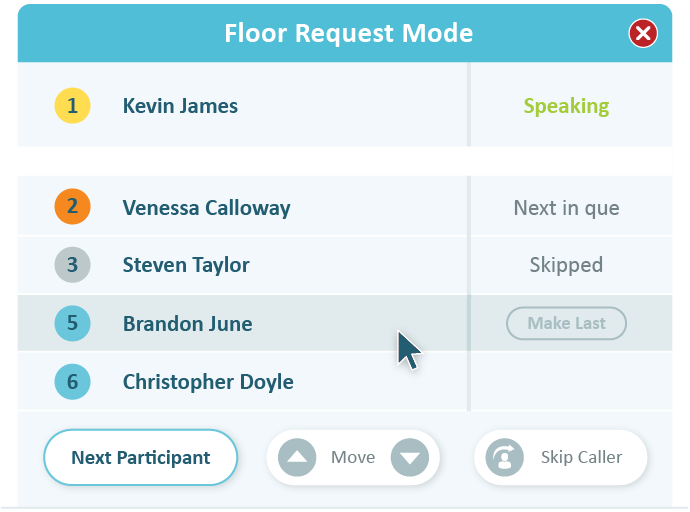 Allow your callers to ask questions and speak by turn with Floor Request Mode. Floor Request Mode displays an active queue with easy host controls. Organize the Q&A queue to your liking with drag and drop functionality. With one click, you can move between callers and keep things rolling. Callers can easily join the queue by inputting a simple dial pad command. Let participants shine and be heard in groups. Sub-conference rooms provide the ideal space for relevant discussions. Quickly set the number of rooms you need before breaking out into groups – up to 20! 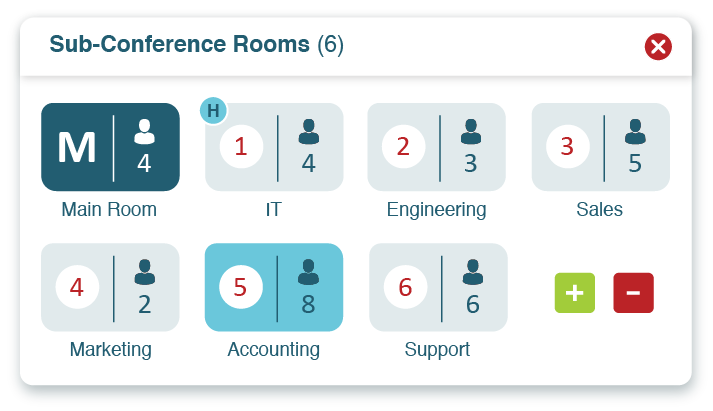 Drag and drop callers into the appropriate rooms for team conversations. Move between rooms to ensure discussions stay on topic, or to get feedback. Maximize your time thanks to seamless transitions into breakout groups. You can start, invite, and schedule a call – all from your Outlook toolbar. Full Outlook Integration with a range of feature levels. Auto-populate and brand email templates for your calls. Access to all Outlook contacts for scheduling invitations. Set up a default “Call Me” phone number for instant call connection. During this all-inclusive trial, you’ll gain access to Click&Meet paired with AudioOne Conference Calling with unlimited minutes. * This trial’s access & benefits will expire after 30 days from the form submission date. 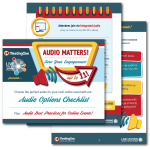 Use this worksheet to pick the right audio for your online events! Keep your most confidential calls and meeting secure. We share 5 factors you must consider!